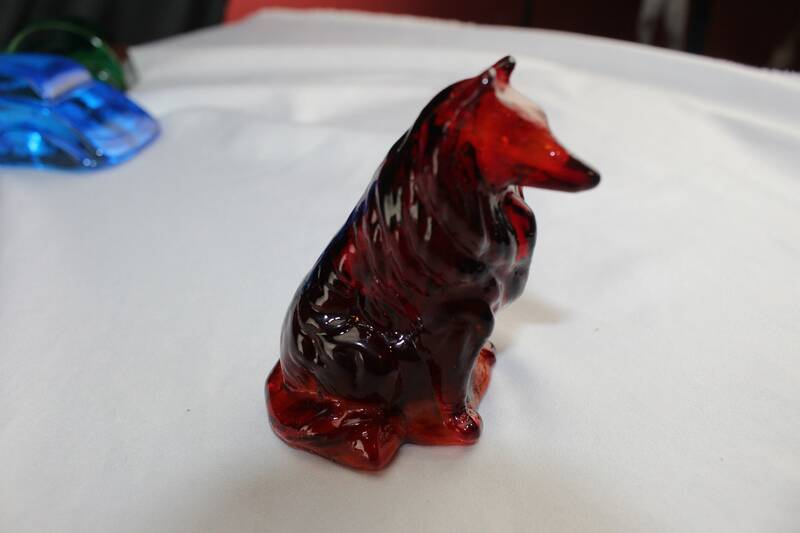 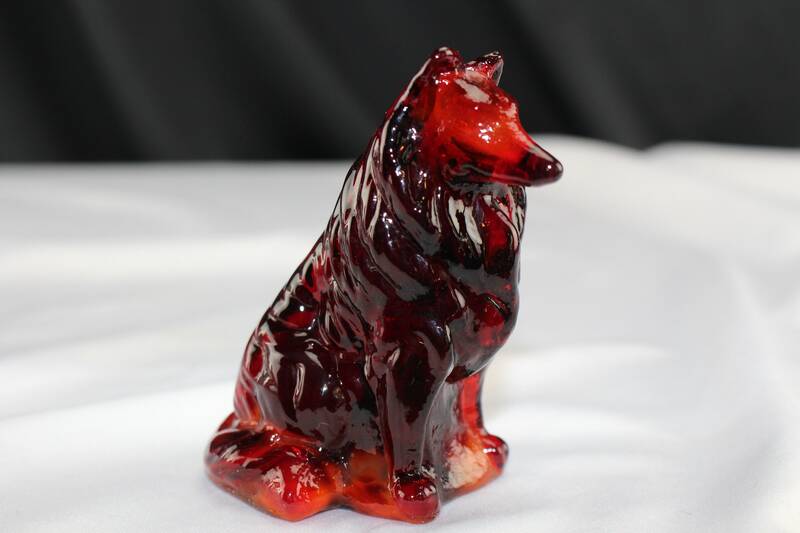 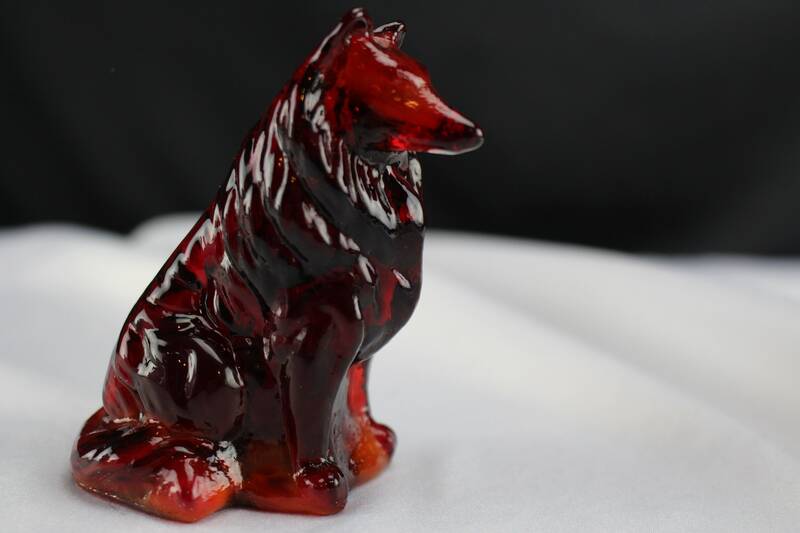 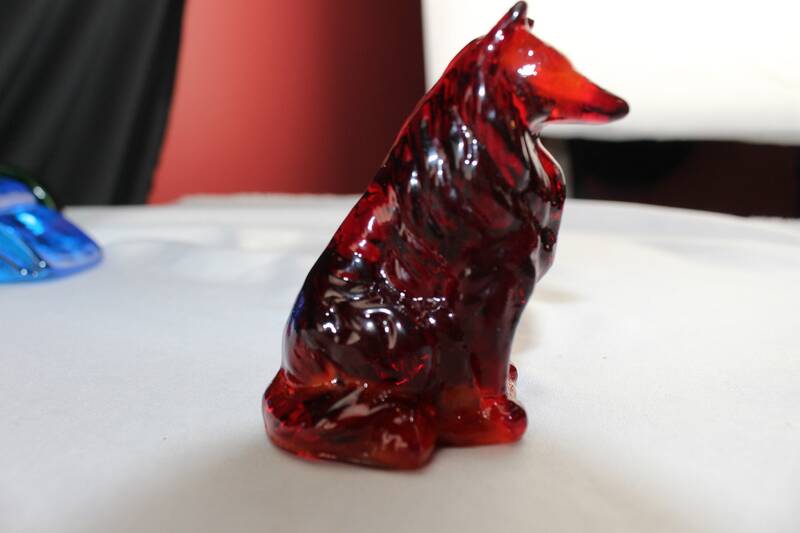 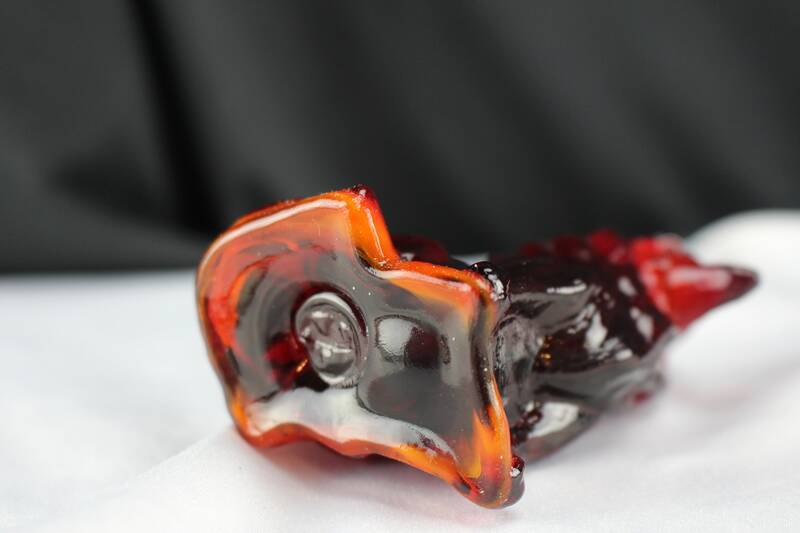 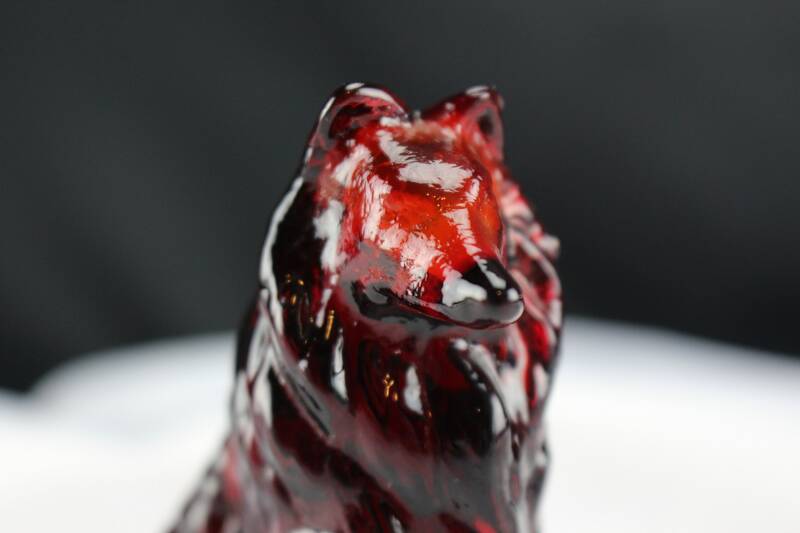 What a great looking example of a Mosser Glass Co. dog figurine it is a collie like Lassie was its made from a dark ruby red with orange and white mixed in around the base and in the head. 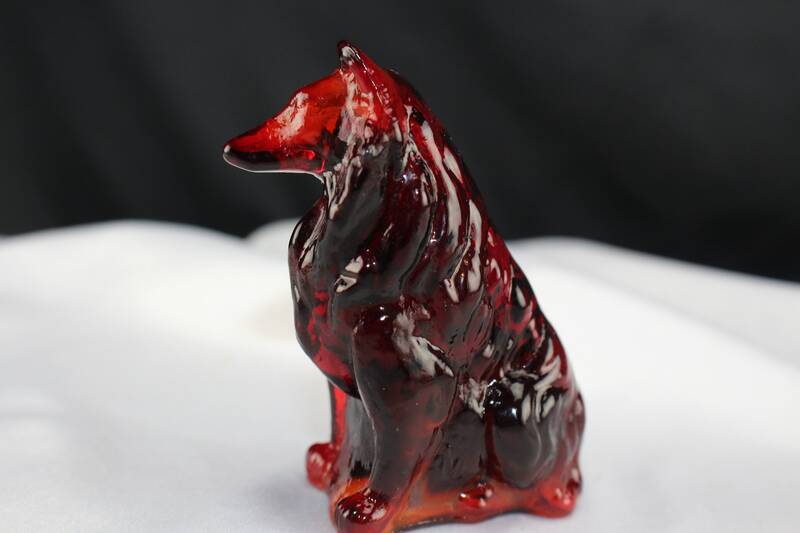 it was on accident looks like they put the colors where they are. 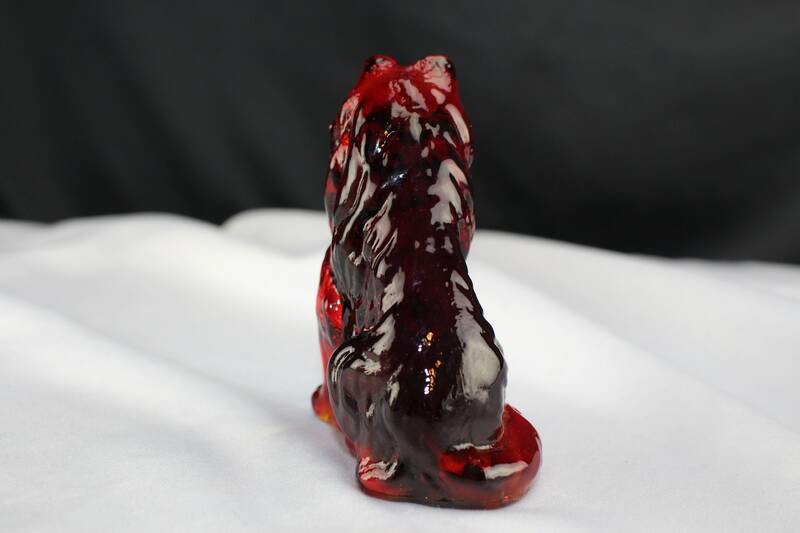 Ity is 3" high has a mark on the bottom and is in mint condition.